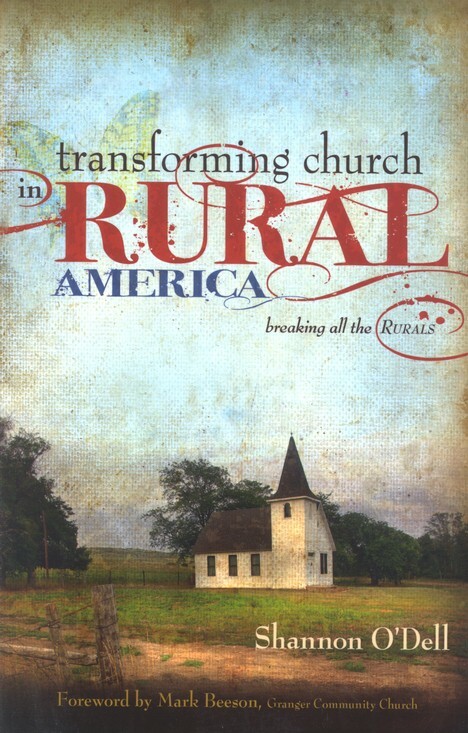 Editor's Note: The following is a report on the practical applications of Shannon O'Dell's new book, Transforming Church in Rural America, (New Leaf Publishing Group, 2010). 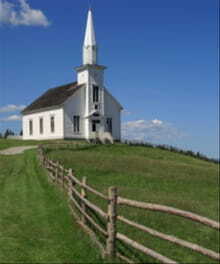 Churches in rural areas tend to have few people attending and little money. But your church's small size doesn't have to limit its potential to impact the world in big ways. If you simply settle for the status quo, your rural church could die from isolation. But if you're willing to make changes, you'll connect your small church to God's bigger work throughout the world. Ask God to give you a vision for your church's future, and believe it. Ask God boldly to help your church fulfill His potential for it. Pray for a vision of where God wants to lead your church so you can clearly understand His plans for your congregation. Pray also for the faith you need to believe that God will truly use your small church to join Him in work that makes a big impact on the world. Then proclaim the vision and join others in your church to pray together in agreement for God's will to be done. Have the courage to change. Realize that a collective church attitude of doing things the way they've always been done for the sake of tradition blocks your church's ability to truly preach the Gospel, because the Gospel's message is one of life transformation - which requires constant change to follow wherever God leads. Don't waste time and energy defending your church's traditions. Instead, pray for the courage you need to make the changes God wants you to make to reach new people, both in your rural community and beyond. Remember, your church's mission isn't to make the people already there feel comfortable; it's to constantly take the Gospel message to new people in fresh ways that will genuinely reach them. Expect change to cause conflict in your congregation, but also expect that if you trust God to help you navigate successfully through the conflict, your congregation will grow in significant ways. So banish fear and move forward courageously into a new and exciting future together. Strengthen your marriage and family life. In rural communities, people usually know each other very well and are closely watching to see how healthy church leaders' home lives really are. Your leadership must begin in your home, since a strong marriage and family life is the most powerful evangelistic tool you'll have in a rural community. So keep your priorities straight: your relationship with God first, then your marriage, then your kids, then your vocation, and then your church. Be honest and real with people as they watch you interact with your spouse and kids. When they see that, while you're not perfect, you're letting Jesus have His way in your home, they'll be drawn to Him themselves. Recruit leaders from within your congregation. Once the people who are part of your church catch God's vision for it along with you, they'll be motivated to volunteer to help lead the church into a better future. Be willing to delegate the work to them and give them plenty of opportunities to put their God-given talents to full use. Structure teams around a common mission, and clearly outline everyone's roles. Encourage all of your leaders to leave their own agendas behind and work passionately together toward your church's shared vision. Give your best effort to every task. Never be satisfied with doing a mediocre job on any task. Remember that you're serving God, and He expects excellence. Don't use your church's lack of money as an excuse for mediocre or poor quality ministry. Keep in mind that excellence doesn't cost money; it simply costs time and effort. Pray for the creativity you need to fulfill the church's mission with excellence, from recruiting volunteers to improve the aesthetics of your building and donate toys to your church's nursery, to starting small groups that meet in various places throughout the community and use free curriculum produced from weekend teaching notes. Build a virtual ministry. Although you may be isolated geographically, you can use technology such as satellites, web streaming, and DVDs to broadcast your church's messages to people throughout the world. You can also work with sites like GlobalMediaOutreach.com to connect the people in your church with seekers around the world who want to e-mail Christians for conversations and prayer. Even if the number of people who physically attend your church's worship services is small, you can reach many more virtually and work with them - one person at a time - to help them grow. Join other rural churches near you to work together. Share encouragement, wisdom, and resources with other churches in your rural community, since you can accomplish much more for God's kingdom together than you can separately. Pray against attitudes of competition and possessiveness, and ask God to help you see each other as He does - part of the same spiritual family - and to work together well. Adapted from Transforming Church in Rural America, copyright 2010 by Shannon O'Dell. Published by New Leaf Publishing Group, a division of New Leaf Press, Green Forest, Ark. www.newleafpublishinggroup.com. Shannon O'Dell passionately seeks to inspire his growing multi-campus church to give God only the very best. Committed to reaching out to struggling churches in rural areas around the country and the world, he has served as senior pastor for Brand New Church in the small community of Bergman, Arkansas for more than six years. He is a former youth pastor of First Southern Baptist Church in Del City, Oklahoma. He is married to wife Cindy, and the couple has four children.